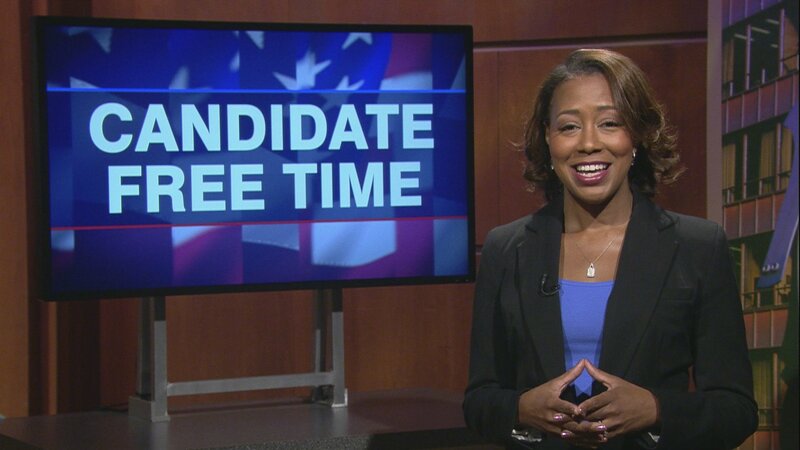 Video: Kari K. Steele tells voters about her platform. Learn more about Candidate Free Time. My vision for the Office of Commissioner at the Metropolitan Water Reclamation District of Greater Chicago is to always work to protect our water supply (Lake Michigan) and improve water quality in our service area. I plan to protect our waterways by continuing to increase green infrastructure, support stormwater management solutions, and spread awareness about MWRD Programs. I envision continued outreach efforts to share MWRD job opportunities and support S.T.E.M. (Science, Technology, Engineering and Mathematics) initiatives that introduce career possibilities for our future generation. In addition, my mission to protect taxpayer’s dollars, while promoting fiscal responsibility and transparency remains. During my first term I have learned that pressing issues are on a case-by-case basis, and each constituent’s issue will vary. I work with my staff to ensure that each constituent’s concerns are addressed in the most efficient and effective manner possible. If I had to choose a most pressing issue facing constituents, I would choose basement backups and combined sewage overflows (CSOs) resulting from heavy rains. Provided Mother Nature is an unpredictable source of rainfall, our efforts to decrease CSOs is a pressing issue. The MWRD has made progress in the construction of Stage One of the McCook Reservoir going online December 2017. Stage One of the McCook reservoir can provide 3.5 billion gallons of storage for CSOs and provide $114 million per year in flood reduction benefits to 3.1 million people in Chicago and 36 other communities. I will pursue the completion of the second stage of the McCook Reservoir to complete The Tunnel and Reservoir Plan (TARP). The four TARP tunnel systems and the three reservoirs (Majewski, Thornton, and McCook) will have a total combined capacity of 20.55 billion gallons of water. This will drastically decrease CSOs and basement backups in Cook County. Hi, my name is Kari K. Steele, and I’m a Commissioner at the Metropolitan Water Reclamation District of Greater Chicago. Thank you for your continued support. I’m running for re-election and asking for your vote on November 6. My unique qualification is that I am the only Chemist serving on the MWRD Board. I have experience working at both the Jardine Purification Plant and the Metropolitan Water Reclamation District (as a Lab Technician, Sampler, and a Water Chemist). My professional experience is important because we treat waste water and protect our primary water source (Lake Michigan). As Chairman of the Budget and Employment Committee I work diligently every day, to protect workers, promote fiscal responsibility and transparency, and ensure we maintain a clean water environment. I’m honored to have won your vote as the Democratic nominee for the General Election. I am committed to making your vote count. I’m happy to have received endorsements from groups like the Sierra Club, Citizen Action, IVI-IPO, The Democratic Party, & The Chicago Federation of Labor; but, the most important endorsement I could ever ask for is yours. That’s why I’m asking you to early vote, for Kari K. Steele; you can vote now, or on Election Day November 6. For more information follow me on social media or visit my website at electkaristeele.com And remember - Punch 52 to vote for Kari K. Steele.